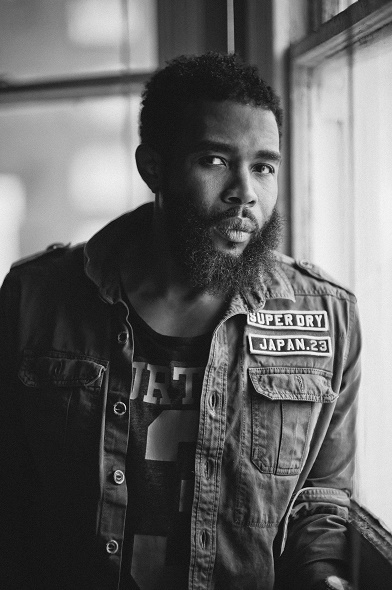 Coming up in Queens during the late 80s as one half of hip-hop duo Organized Konfusion (with fellow emcee Prince Po), Pharoahe Monch used his quick-witted rhyme technique and precise delivery to gain the respect of others in the industry. Almost ten years later and three albums deep, the group split in ’97 to pursue solo careers. Pharoahe went on to sign a deal with Rawkus Records, which led to the release of his solo debut, Internal Affairs, in ’99. Since then, he has put out three critically acclaimed records and made numerous guest appearances on albums with artists, including De La Soul, Macy Gray, Pete Rock, J Dilla and Black Thought. His mix, Lost in Translation, dropped on Valentine’s Day, which includes brand new material and collaborations with fellow romantics like Justin Timberlake, Phonte, Eric Roberson, Sergio Mendes, and DEnAuN Porter. He shared the stage with Black Thought, Afrika Bambaataa and The Soul Rebels at Brooklyn Bowl at the end of February, and Brooklyn Radio’s Lara Gamble had the chance to speak with the “monARch minus the A&R” about his creative process and why he waited to release a compilation of previously released songs about love. I was on my block, and one of the local cats who had a sound system brought out some music for a block party. And I saw these kids uprockin’ and then brought the cardboard and was breakdancin’. And so, my earliest memory is specifically that type of cultural experience – wasn’t even anything famous, just something happening that’s different. I was a little tot. I don’t remember exactly how old I was but old enough to have a curfew. Oh, yeah. Very much so, specifically parents. My mom was into gospel, pops was into jazz. Older brother was a rock music fan. Sister was a Jackson 5 fan, so it was very diverse. When did you decide to make rapping a career? I was in high school. I went to an art school, and I already decided it would be something, a form of artistic expression, my career. But I just felt soul-wise, I could get more out verbally than I could with my paint brush. Who would you credit for helping you get your start? Oh, man. So many but it would have to be my parents because in that moment in high school, I was definitive, and I went to them, and I was like, “I positively know what I want to do.” It was a defining moment, and they both encouraged me, so that was huge. I don’t think I would’ve had the support time-wise, which is big, to fall back because I may have just ended going to school and can’t spread the difference between college and the streets or whatever. They allowed me the ability to do that. I just try to pull it out the ether from anything, everything, all art. From film, dance, books, conversation. You know, I’m constantly on the prowl for something to make my hair stand up or just inspire me so much that I want to do the same thing to you verbally or musically. You’re one of a select few that’s been active in the scene since the golden age of hip-hop. To what do you attribute your staying power? I think one of the things is, culturally, that era and paying ode to something that brought to the table something where there was nothing for some people. I had a lot of respect for it culturally, so I wanted to add to it. It wasn’t just a financial thing, even though it was a career. You’re known for having a pretty systematic creative process, including revision time. Have you always been so disciplined? I think so. I think art school teaches you a process, and so I always try to follow a process, one of which is you need to be inspired and then once you’re inspired, you can either vomit, so to speak, the stuff out on to the canvas, but you gotta step away from it and take a couple of steps back and look and see if you’ve got the anatomy right and so on and so forth. So, I kinda take that into my work as well. You know, I might freestyle or get some stuff out really quickly, but I will take a moment to step away and listen with an objective ear. Your album PTSD dropped last year, which is sort of a continuation of W.A.R., your first release as an independent in 2011. How are these albums a departure from your previous releases? What can you tell readers about Lost in Translation? I have been trying to do something like that for Valentine’s Day for a couple of years. Over the years, and especially lately, I’ve worked a lot with great singers and great musicians like Eric Roberson, Jill Scott, Glasper, and DEnAuN Porter. And I figured that since these songs were about a relationship, in some sort of way, that it would be cool to tie them all together and have a place for people to come check them out for free since I don’t own the music. I know a lot of my fans miss those type of songs, and I love those records, and it’s a side of me, as an artist. Since I take my time a lot, I don’t get to do albums like that. So, I just wanted to put it together and put it out, you know. Do you fancy yourself a romantic? Yeah, at times, but it needs to be dope and not corny and organic. That’s my biggest thing. I want to be romantic from a genuine place, not to fabricate it. How was the show at Brooklyn Bowl with Afrika Bambaataa and The Soul Rebels? That was really dope listening to Bambaataa’s set and just getting nostalgic on the history of hip-hop that I love and then live instrumentation and brass instruments. And Black Thought performed as well. I’m a big fan. I got to span out. Even though we’ve done music together, at shows I like to get in that space where I’m also able to enjoy it as well as perform. I kind of wish I could watch myself perform. It was fun. Just the website, which is pharoahe.com and the Twitter, which is @pharoahemonch.